Are you looking for decluttering in the Enfield Wash area? Decluttering in Enfield Wash, decluttering your home will help you free up valuable space and if you are looking to sell your home, it could help you sell your property faster. If you’re looking for decluttering in Enfield Wash, Security Self Storage has a complete range of storage solutions. There are many other reasons that clearing some space can be helpful. Maybe you are downsizing your accommodation but wish to keep certain items of furniture in the short term? Or you may be relocating to another country but will be returning home at the end of a work contract, and need to store your personal possessions. 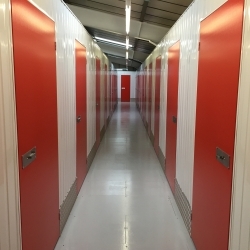 It makes perfect sense at these times to look at Security Self Storage near Enfield Wash as an affordable and secure way of storing your personal belongings. All too often we find our attics, garages and cupboards are full to bursting with things we no longer use. 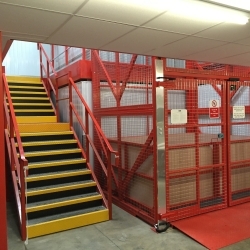 Here are some ways to help free up some space with the help of Security Self Storage Enfield Wash.
1. Clear out Books, CD’s and DVD’s. With so much available on line, now may be the time to reduce your overflowing bookshelves, film collection or CD rack. It’s also worth remembering that storing vinyl records in the loft is a fire hazard. If you find you are particularly attached to certain things, consider putting them into storage, this will make your living area seem instantly larger and your loft a safer place! 2. Store things your children have outgrown. It’s all too easy to hang on to cloths and toys your children no longer need. Now could be the time to sell them on sites such as Ebay to generate come extra cash. Alternatively, if you’re hanging onto them until the grandchildren arrive, put them into storage until you need them. 3. Put bikes and other unused outdoor items in storage. If you don’t have a shed or garage to store bikes, but find you only use them in the summer months, free up some space by putting them into storage. Garden furniture often ends up in the garage during the winter, why not save some space by storing it until it’s needed. 4. Send your camping stuff on holiday. If you have camping or trekking equipment, or a number of large suitcases which you only use only at certain times of the year, why not send them packing and save yourself some valuable cupboard space. Storage in a clean and dry environment will prolong the life of these items. 5. Declutter your wardrobe. Most of us have far more clothes than we ever wear. We often buy things, which don’t suit us or hang onto things that don’t fit us. Once you have assessed your wardrobe, you will know what you want to keep and what is definitely unflattering and should be discarded. There will also be a number of items you’re just not sure about. To free up wardrobe space, why not consider storing these items along with seasonal clothing needed only at certain times of the year. A small self-storage unit could be the ideal answer to your changing needs. 6. If you work from home some offsite storage may help you reclaim your space. Working from home often requires keeping records and documents for a certain amount of time. 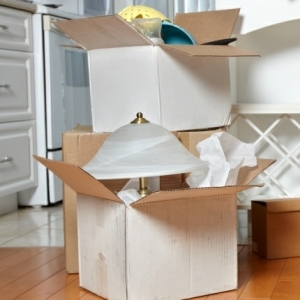 Maybe you need bulky items only occasionally or have stock that is filling up your living space. A storage unit could provide the ideal cost effective way to store these items and you can easily access them whenever you need to. Once you have decided to use a self-storage facility, you will want to make sure your possessions are carefully packed to ensure they remain in perfect condition. 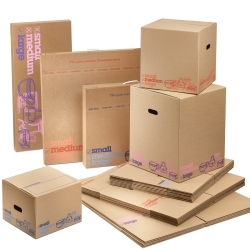 At Security Self Storage we can offer a wide selection of packaging material to protect your items. Our Box Shop has an excellent range of boxes, tape, bubble wrap and padlocks to protect your goods. The process of decluttering is carried out for a range of reasons. It maybe you are redecorating, rebuilding, adding an extension or moving home. During the process you may find the following information helpful. This decluttering in Enfield Wash item is brought to you by Security Self Storage the self store company serving Enfield Wash and the surrounding area.